Tian Luo looked for Ah Lian for a very long time, but she was still not able to find her even when the sun had gone down. Only when it was completely night did a worried Tian Luo find Ah Lian. A teary eyed Tian Luo exclaimed, "Where on earth did you go? I thought you had been captured! ", while grousing to herself that it was Ah Lian advised her not to venture too far out. Ah Lian, still in a daze with her encounter, sheepishly grinned and rubbed her nose as she explained to Tian Luo what had happened. An astonished Tian Luo gasped,"Yo..You mean you actually managed to meet High God Rong Lin?!" Ah Lian nodded her head,"Yes, I did. High God Rong Ling is still as friendly and kind." Tian Luo knew that the high god Rong Ling was someone Ah Lian admired tremendously, and he was the reason why she entered the academy. Tian Luo had also heard how kind and gallant this high god was; truly a man among men throughout the realms. Knowing the reason why Ah Lian took so long to appear, Tian Luo was no longer worried. Curiously Tian Luo asked,"So how does High God Rong Lin look like? Is he even more handsome that High God Xiao Bai?" Tian Luo was originally quite naive and truly believed that the male disciples of the academy were very good looking... until she caught a glimpse of the high god Xiao Bai. She became smitten with him. However, Ah Lian who had seen the high god Xiao Bai before as well was not too impressed, and she seemed immune to his good looks; she did even not blush like the other female disciples. How could she have such a lack of reaction unless she had seem someone whose looks was far more superior? Of course Ah Lian thought that high god Rong Lin was the most handsome, but high god Xiao Bai was his good friend, and being so kind-hearted he would definitely not be happy to hear a compliment at the expense of their good friend? So Ah Lian answered,"Both have their strengths. There is no point in comparing the two." Each to his own, so that meant that they were on par. Tian Luo find it a little hard to accept that there was someone each whose looks were comparable with high god Xiao Bai. As Tian Luo hooked Ah Lian's arm, she encouraged, "Tell me the details!" Ah Lian's face lit up with joy and happily described her idol, "Well, his eyes are as shining as the stars, and his eyebrows are as luminous as the moon. His very tall and has a good build, everything below his neck is legs and...."
"Than he is definitely handsome!" exclaimed Tian Luo. Ah Lian smugly nodded in agreement; of course her idol was the best! Caressing the robe which was from her precious idol, she praised him,"What was the most commendable was that High God Rong Lin was so patient and kind. Although I accidentally disturbed his rest, he did not blame nor scold me, but instead, cared for me and told me to take care on my way back." An excited Tian Luo was in awe. High god Rong Lin was truly worthy of his reputation, it was no wonder that this left such an impression on Ah Lian that she remembered him for two hundred years. When they got back, Ah Lian dedicated washed the precious robe thoroughly three times over. By the time she was done, it was already in the middle of the night. Once done with the washing, Ah Lian skipped over to Tian Luo and asked,"Does the robe still reek of fish?" Tian Luo understood Ah Lian's worry, so she cooperated and took as sniff. "There is no fishy smell. In fact, it smells rather fragrant instead." The robe was meant to be returned to high god Rong Lin the next time she saw him, so of course she wanted the robe to be sparkling clean and fragrant. After hearing Tian Luo's comment, she was assured and let out a sigh of relief. However, in the next second she frowned and thought to herself,"This fragrance, will High God Rong Lin like it?" After giving it some thought, she declared,"Let me was it again, to lessen the smell of the fragrance a bit so that it would not be too strong." Yi Gui and Yi Zhang come back just at this moment, seeing Ah Lian hanging the washed robe to on the rack to dry. Seeing that the robe was too large to be a females, Yi Zhang disdainfully commented,"What a shameless fat headed fish, not only did she hook up with a male, she even has the audacity to dry the robe in our courtyard." Yi Gui, on the other hand, was silent and did not comment; she had always been the more observant of the two. Ever since Yi Zhang laid her eyes on Ah Lian she disliked her: not only because Ah Lian had a lower social status, but also because of her face. Having a pretty cousin, to whom she has been compared too since young, it was already quite pressurizing. And now, to have to stay with someone whom she regarded as inferior, but had an alluring beauty that made her jealous. How could she not be unhappy? The Ninth Heavenly Pavilion Academy did not have any rules which explicitly prohibited male and female disciples from socializing and getting into relationships. Hence, there were many pairs who got together for the purpose of cultivation, and one-night stands were quite common. Even Yi Gui had gotten together with a few male disciples a few days after she had entered the academy. Noticing the intricate design and superior material of the robe that Ah Lian had hung out to dry, she concluded that it belonged to an owner with quite a background. After the robe had dried, Ah Lian gingerly took it and kept it into her dimensional jade gourd which was hanging off her belt. This jade gourd was gifted to her by Ah Pang as a farewell gift. It might seem like an ordinary accessory, but it was actually a dimensional storage tool and could contain many items. As the jade gourd contained her precious idol's robe, Ah Lian treasured it and was afraid to damage it; treating it a gently as a newborn baby. Ever since that day, Ah Lian consistently went to the Blue Wave Pool in hopes to meet her idol again. She totally regretted that she forgot to ask high god Rong Lin what was his favorite food, if he liked the texture and flavor of carp, and what was his preferred method for cooking carp. The Ninth Heavenly Pavilion Academy was worthy of its reputation: from the moment the disciples entered the homework never stopped and continued to pile one. Ah Lian, however, was distracted and unable to concentrate as she wanted to meet her idol again. Newly accepted disciples who were accepted were of a certain standard caliber, and usually had high social statuses. Ah Lian and Tian Luo belonged to the group of exceptions, having passed the stringent entrance examination, but were placed amongst the bottom (of the rankings). Which brings us to today's illusion lesson, which totally made Tian Luo on the verge of breakdown as she had already been scolded multiple times but she still could not master the illusion. The lesson was being conducted by the academy's infamous Sir Chong Xu. He was rumored to be extremely arrogant and his pride was very strong since he was young, so much so that he would not scoop beneath his level to earn a few miserable dollars. However, he changed after his marriage and humbled himself to support his family by teaching at the academy. After multiple failed attempts, Sir Chong Xu could no longer tolerate it and hollered at Tian Luo," Based on your aptitude, even if you managed to enter the academy, you would not be able to survive until graduation. You should just pack up and leave the academy and save us on the food that has been wasted on you." Ah Lian had wanted to come to to the defense of Tian Luo, but before she could get a single word out, she was "arrowed" by Sir Chong Xu. He looked at her and said,"You need not be in a hurry to speak up for her, you are no better than her! Look at you. What kind of spell are you casting?" Ah Lian had only three hundred years worth of cultivation experience, so it was quite a challenge for her as her experience was low. As for Tian Luo, she not only had more cultivation experience than Ah Lian by 100 years, her parents had also given her spiritual pills to boost her cultivation at a faster rate. Due to this disparity in experience, even when Tian Luo had barely managed to successfully cast the illustration and somewhat transform the gourd as instructed, Ah Lian was still struggling. After further scoldings by Sir Chong Xu, Tian Luo finally managed to successfully complete the transformation, while Ah Lian was still struggling. The made Ah Lian extremely embarrassed as she was the only student who failed the basic illusion technique. After class, Tian Luo comforted Ah Lian saying,"Don't be too sad. Let;s go back and practice again. As long as we put in the effort, it should be fine." Although Ah Lian understood that she should not be too hasty and putting in her efforts to practice even more, the fact that her aptitude was this bad made her feel a little depressed. When they went back to their dormitory, the continued practicing. Tian Luo had barely pass the test, so she was not in a position to advise Ah Lian how to improve. She could only watch on in despair as Ah Lian failed time and time again; unable to help. She felt bad that she was not able to help Ah Lian out. Even after entering the academy, it was not guaranteed that everyone would be able to graduate. In order graduate, they would first have to stay in the academy and to do that they would have to pass the test that was due three months. If they failed, they would have to leave the Ninth Heavenly Pavilion Academy. So for a disciple with Ah Lian's caliber, the future seemed bleak. Late into the night, Ah Lian looked at the sleeping Tian Luo, and went to the Blue Wave Pool. This time her intentions was not in the hopes to meet her idol, but to practice her illusion skills by the poolside. She had another class with Sir Chong Xu the next day, and even if she was thick skinned enough, it was not enough to withstand the sharpness of Sir Chong Xu's sarcastic remarks. As Lian faced the willow tree beside the pool and tried to recite the incantation and tried the illusion multiple times. Each time she fail, the willow tree would slightly sway, but nothing much changed; not even the leaves transformed. This was the most basic form of illusion techniques and if Ah Lian could not master it, that it would determine her departure from the academy. Ah Lian attempted the illusion again and again, until the sun came up but to no avail. "You... What are you trying to do?" Ah Lian slowly turned towards the direction of the familiar voice. What greeted her vision was a tall, handsome silhouette. Her downcast face instantly brightened up as she scooted over and exclaimed,"High God Rong Lin!" Rong Lin had been looking at the little fish demon trying her best to practice the illusion technique. Though he was not that acquainted with the little fish demon, he knew that if he helped her he would get further entangled. He was planning to pretend he never saw her and was about to leave when he heard her recite the incantation and saw her clumsy attempts, he could tolerate no longer. With her caliber, how exactly was she able to pass the entrance exam? Ah Lian foolishly smiled at him, while high God Rong Lin was still his aloof cold self. He did not reply her, but in a clear cold voice instructed,"Close your eyes and focus your energy..."
The smile on Ah Lian's face froze and a few seconds later she realized that her idol was actually talking to her; giving her advice. She immediately did as she was instructed as Rong Lin continued. "Don't lose your concentration. You need to focus on what you want the willow tree turn into in your mind. Think about its form, and than recite the incantation...."
High god Rong Lin's voice was pleasant to ears. Being a basic illusion technique, it was actually not very difficult at all. Even if it were a tree, as long as it did not move, you could change it at will to what you wished. As long as it had a form, you would be able to transform it easily. Although Rong Lin occasionally came returned to the academy, he only did lecturing, and as a high god it would be beneath him to be so hands-on. So it was impossible that he would teach such basic techniques to new disciples, let alone personally teach them. He looked at the little fish demon whose face was filled with determination and felt that he should personally give a few pointers. Thinking that it should not be an issue, he turned his back and without much ado he coldly blurted out the instructions. He used a cold tone as he did not want her to think that they had a close relationship. Not seeing her move after some time, Rong Lin asked,"Are you done?" If it was already done, than what was with this tone? With such a simple illusion technique, as long as one did not lose concentration, it would definitely be successful. He had personally offered his advice, and she did not even progress one bit! Even for one as good tempered as Rong Lin, he could not contain his impatience and annoyance. He turned around to look at her and was just about to reproach her when he saw his replica. Why had she chosen to transform the willow tree into his image? 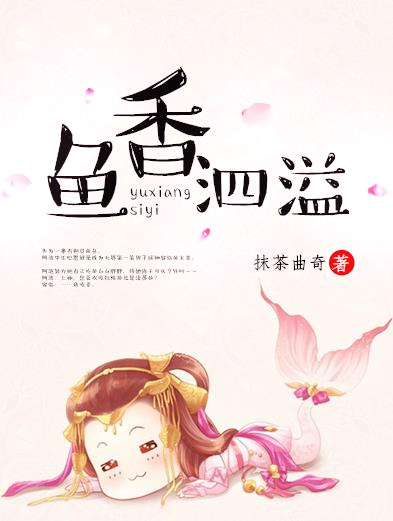 He found the little fish demon looking sheepishly and scratching her head in embarrassment, looking at him with her large limpid eyes, remorsefully commenting,"Sorry, I... My mind was filled with thoughts of High God Rong Lin."